The Smart Points calculation is Weight Watchers latest method to give food values in order for you to make smarter selections. This new plan was introduced in 2016 and many are still trying to understand how it all works. In January 2018, Weight Watchers introduced their FreeStyle plan. This newest program still uses the SmartPoints and the calculation does not change. However, there are many other changes that you may want to check out. Read the Freestyle overview to learn more. With the Smart Points plan, prior to the introduction of FreeStyle and after the introduction, the daily allowance is individually determined so there is no set formula as each person is different. You must be a member in order to get your daily and weekly allowance. Previously on the Points Plus system, the minimum daily allowance was 26 points. The Freestyle smart points has a minimum daily allowance of 23. This is down a few points prior to the new weight loss plan. That is because they introduced so many different zero point foods. You can see the full list here. The weekly allowance is also different for each person, so be sure to get this at your first meeting or the WW online tools. But enough about the Freestyle plan as we are here to learn about the smart points calculation. Weight Watchers has changed how points are given to food with various plans and calculations. With the Points Plus system, the nutritional values used were carbs, fiber, protein and total fat. Prior to that, WW used calories fat and fiber to determine the values in the foods you eat. Now with the Smart Points, the calculation and the nutrition values used have once again changed. As always, Weight Watcher's plan helps us to make lifelong changes in the way we eat and exercise. With this in mind, the new calculation once again helps guide us towards the right foods to help us stay healthy. The value, or weight, given to each of these factors varies. For instance, saturated fat has a higher value in the calculation than calories. Sugar also will cause a higher point value as it is given a larger factor than calories as well. Protein on the other hand will help reduce the points value using the Smart Points calculation. So the higher the protein in food, the lower the points value will be. A food item can have the same value for calories and protein, but if the sugars or saturated fat are higher in one item versus the other, the points value will be higher. Giving each nutritional item different values in the calculation will help guide us to the healthier food item even though both have the same amount of calories. Without futher ado, here is the Smart Points calculation. Prior to the Smart Points the plan was the points plus method. Below shows the Ptsplus formula so you can see how the calculation has changed. How has the calculation changed? As you can see, the value is doubled from one system to the other. This is primarily due to the high sugar content in this food item. Although carbs were used in the plus method (which is high due to the sugars) it didn't really allow you to determine if these were good carbs or bad. By using sugar instead of carbohydrates, the values given now guide you to healthier carbs and foods. While many foods will have a higher value with the smart points calculation, don't fret just yet. With this new plan you will more than likely get a higher daily allowance and weekly allowance than on the plus method. In fact, the minimum daily allowance went from 26 points to 30 points. Each person's allowance is individual and is not a set calculation. This is also true of the weekly allowance. Because the allowances are now an individual assessment, I cannot provide any guidance to what your allowance will be. You must be a Weight Watchers member in order to get these allowances. 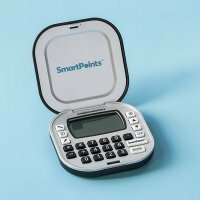 Use this online smart points calculator to get the values of your foods using this new method. Find your favorite place to eat out and view their menu items complete with nutrition and points values. You will find the Smart Points, Points Plus and the original points values for these restaurants. The calculation for alcohol is different than for foods. Check out this article for a fairly simple way to calculate the points for your alcoholic beverages. If you have not yet made the move to Smart Points, then check out this article on how to calculate food values using the points plus method.